jbvann05's Best Scooperia Chef Tournament! REDACTED Wins! Flipline Forum > Community > Forum Games > Cooking Games > jbvann05's Best Scooperia Chef Tournament! REDACTED Wins! Re: jbvann05's Best Scooperia Chef Tournament! (Season 1) Challenge 1! Sorry for complaining so much but I'm currently on Onionfest, which is infamously known for having the worst, disgusting ingredients ever. So can you judge the dishes based on the context of the holiday and not how it would taste irl? You both did amazing. Moon, you got a point docked for using whipped cream, while Hobbes didn't give a story. It came to 98-98 so it was decided by my brother. MOON!!!!!! Good job! Hobbes, you are eliminated. Good job though. It was a great job, and you are automatically through 96/100. wolfman was inactive. Stay tuned for the finals challenge! Ladies and gents, welcome to the final challenge! This is called Baseball Vendor. Moon, REDACTED, you have 96 hours, or until 11am PT/ 2pm ET on Sunday. Re: jbvann05's Best Scooperia Chef Tournament! (Season 1) Finals! Surprise! It's time for a twist. The Oniontown Crushers also need a dinner. 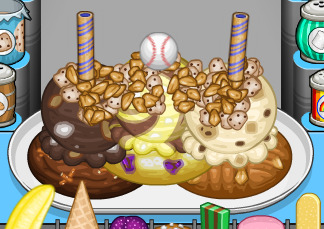 Use any dinner restaurant to make a dinner for the ballpark! You have 72 more hours, or until 11:30 on Monday. Congrats to you and to everyone who joined. Don't expect season 2 for a while because I have school. Stay tuned for a new cooking game.